A soothing daily moisturizer that rapidly calms irritations and gives long-lasting protection to naturally sensitive skin or skin that has become irritable. 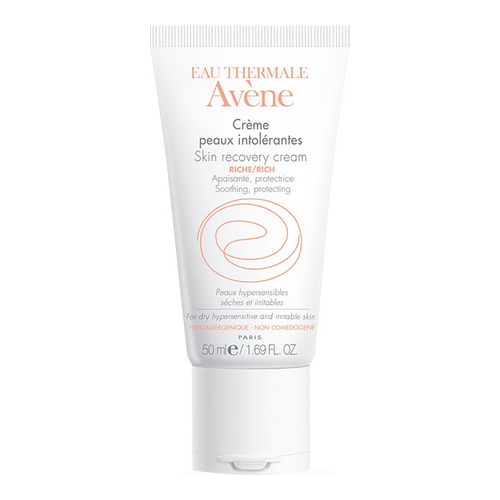 Avène thermal spring water, mineral oil, glycerin, dimethicone, glyceryl stearate, behenyl alcohol, serine, butyrospermum parkii (shea) butter, carbomer, tetrasodium edta, triethanolamine, water, xanthan gum. • Apply to the face and neck after cleansing with Extremely Gentle Cleanser Lotion. • After use and before closing, remove any excess product around the tube opening.